We’re all very familiar with Samsung’s Galaxy S flagships, but there’s also a myriad of mid-range devices that the Korean firm also offers – trying to cover all consumer price ranges. 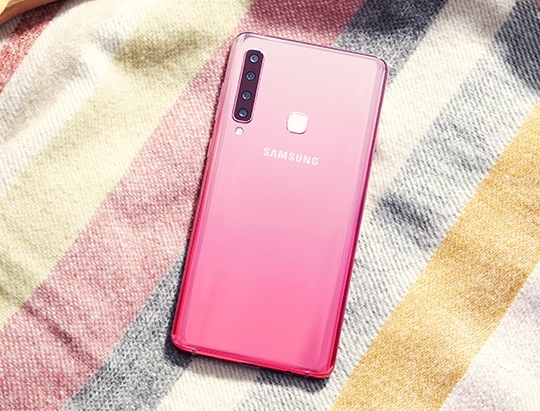 Today’s announcement cover the new Galaxy A9. The A-series have been relatively popular in the past few years, offering a step down from the top S series in terms of features and price. 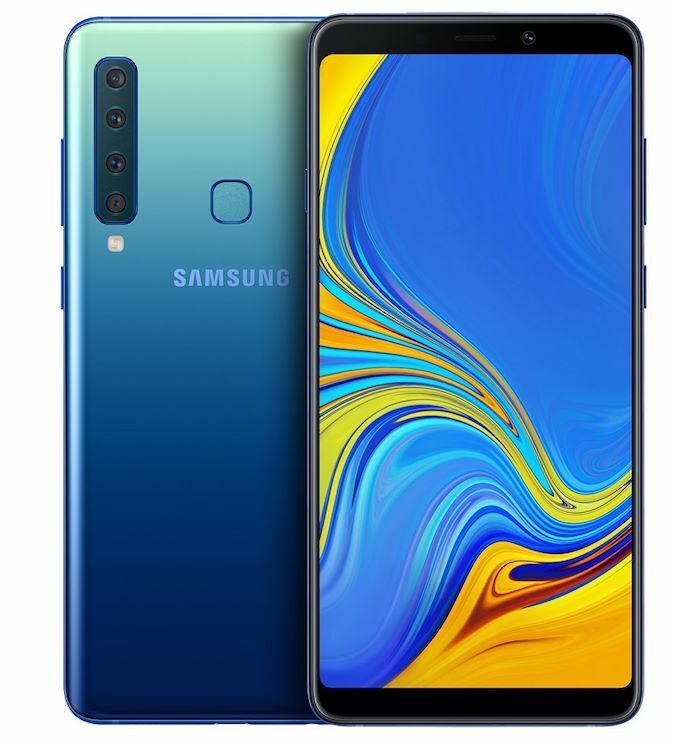 The Galaxy A9 in particular is noteworthy in that it’s Samsung first smartphone that deploys four rear cameras. 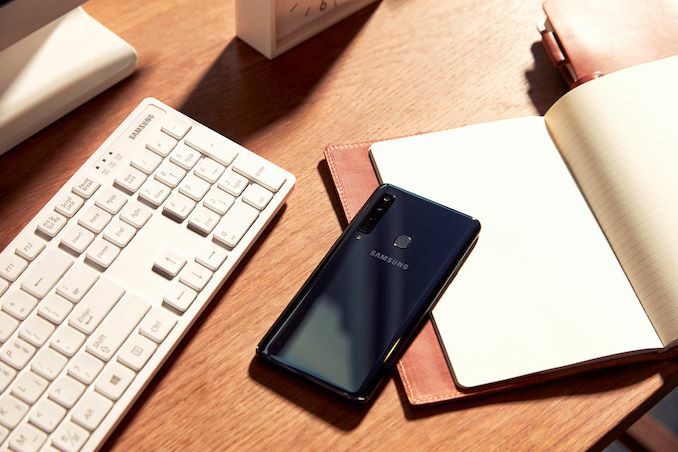 First of all, in terms of specifications, the new Galaxy A9 is the definition of a mid-range smartphone. Samsung doesn’t exactly specify which SoC the device uses, but discloses that it’s a 4x 2.2Ghz + 4x 1.8GHz design. There have been some reports that this might be a Snapdragon 660 in some markets, and there’s no matching Exynos at those frequency configurations. Still this would give the A9 plenty of performance, and is accompanied by 6GB of RAM, and a surprising 128GB base storage. The fact that Samsung is now upping the base storage to 128GB in such devices is really fantastic to see, and really ups the game in comparison with some other new flagship devices this year that still launch with 64GB. The screen is a large 6.3” 18.5:9 AMOLED screen with 2220 x 1080 resolution. This is a big device, coming in with a width of 77mm, 3mm wider than a Galaxy S9+. Battery wise there’s also a big 3800mAh battery, which should serve the phone well in terms of battery life. Now, the big key feature of the A9 are its four rear cameras. The A9 uses the trifecta of a regular angle module, a wide angle, and a telephoto module. On top of these three imaging cameras, there’s also a fourth camera that serves as a depth sensor. The main camera is a 24MP unit with an f/1.7 aperture. 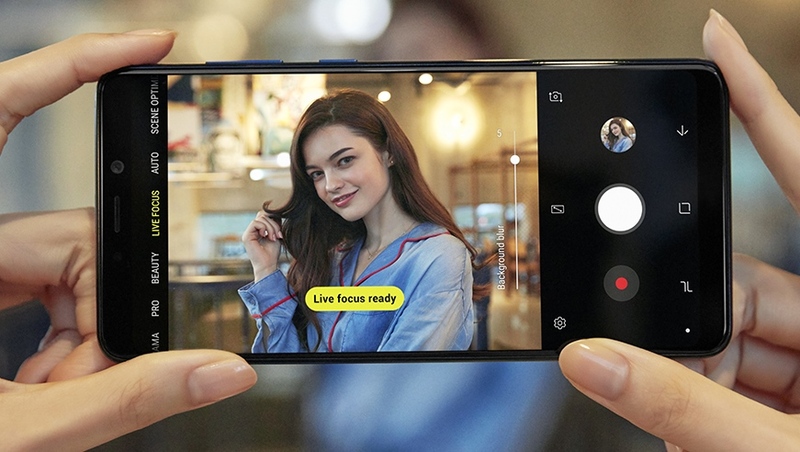 In daylight pictures the sensor uses the full 24MP resolution, while Samsung now introduces a pixel binning mode in low light scenarios where 2x2 pixels on the sensor result in a single logical pixel in the output image – effectively resulting in 6MP photos. The wide angle module is a first for Samsung. For long this has been an exclusive feature for LG devices, and it seems this year we’ll see a lot more vendors employ similar modules. The A9’s module is 8MP with fixed focus and an f/2.4 aperture – the key characteristic here is the 120° field of view. Finally, the telephoto lens is a 10MP unit with an f/2.4 aperture offering 2x optical zoom. We’ve seen dedicated depth cameras in past smartphones, most prominently from OnePlus. Now I can’t really think of any good reason as to why Samsung would use this 5MP depth sensor over the wide-angle unit when doing portrait mode depth sensing – the only possible explanation would be that the A9 would also support portrait mode shots on the wide-angle camera itself, which would be achievable through the dedicated sensor.